1 City, 3 Courses, 6 Days, and an answer to the age-old question; What’s For Dinner? 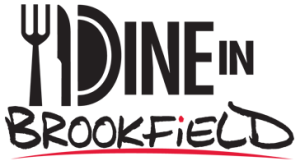 From November 5-10, participating Brookfield area restaurants will offer special 3-course prix fixe menus designed to showcase the best their kitchens have to offer. From quick and casual, to fine and fancy, there’s no better time to celebrate Brookfield’s vibrant and diverse restaurant scene. Yukon gold potatoes, peas, tomatoes and onion slow cooked in a creamy white karma sauce. Served over brown basmati rice with grilled flatbread. Sake marinated tofu and chunky vegetables seared to perfection, served over a bed of brown basmati rice with fermented black beans and mushrooms. Finished with pea shoots dressed in a spicy Sriracha vinaigrette.